Look, I like Bel Rowley a lot, but sometimes, I wonder what the hell the people writing her are thinking. Like tonight, when she’s all up in arms about how she got her source killed, so she wants to kill the whole Cilente story? It’s a sort of bizarre bit of character development from a woman who’s been sold to us—and presented to us several times—as having nerves of steel. She must have known this would be a thing that could happen, yet she all but falls apart once it actually does? I’m just not sure I buy that, no matter how skillfully Romola Garai presents it (and she, as always, makes the most of every little moment to make it seem almost believable). Her consternation with Freddie for wanting to keep pursuing the story also feels rather forced to me, and if the episode had been attempting to build to a moment where the two’s friendship was torn asunder over this, I might have piled on the criticism. Instead, around the halfway point, the episode becomes something else entirely. Abi Morgan’s script needs to introduce the crisis of conscience above—no matter how clumsily—so the journalists of The Hour can overcome it to work toward the proof they need that will tie absolutely everything in the season together via the nuclear conspiracy. Now, is it a little convenient that all of the show’s disparate story threads appear to run through El Paradis? Of course it is, but you have to make concessions when you’re trying to cram this much plot into six episodes, and I suspect this is one Morgan made early and often. 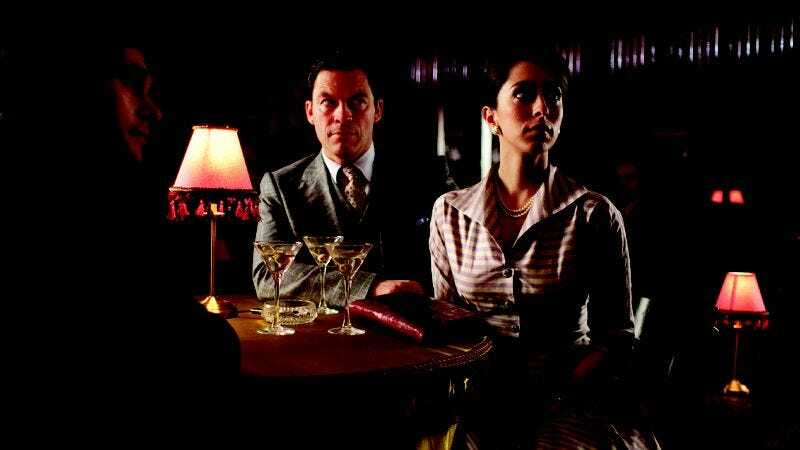 The idea that El Paradis is tied to the NATO deal and the ongoing rise of ITV—more tangentially, to be sure—is an odd one, and I’m not sure I’d buy it if the show had more time to force me to think about it. But I’m going to go with it for now, because it results in terrific sequences like the one that closes this episode. Yes, Stern gets a backbone and leads a raid against the club, one that disrupts the evening of spying the staff of The Hour has planned. For as much as I’ve complained about the show sometimes picking up its characters by the scruff of the neck and dropping them in places where it needs them to be, I thought the way the episode navigated everybody who needed to be at the club through the doors of the El Paradis was quite elegant. The journalists are there pursuing the story. McCain is there to keep an eye on the scoop he’s set up. The cabinet minister is there to make the deal. Marnie is there because she sees a chance at improving her marriage with Hector. And so on and so on. It’s perhaps the Madden marriage storyline that most surprises me here. I’m not surprised the show has patched things up between them. I’m surprised I’m as affected by it as I am. It’s another thing that happens rather suddenly—since it seems to arise almost entirely from a short discussion the two have on the set of her new show, as well as a talk Hector has with Bel—but when she smiles after he asks her to accompany him to the club, or when he climbs into bed next to her, it just works. I think it’s because the show has spent more time building this relationship than some of the others, so we’ve really gotten to see the couple at their best and worst. Really, the only romantic pairing that’s had as much thought put into it is the one between Freddie and Bel, and I doubt I would have thought that about Marnie and Hector when this season began. On the other hand, Freddie and Camille’s marriage is over because… because it just is, okay?! I’m not going to deny that Freddie’s all-but-confession of love sent in Bel’s general direction made me very happy, just as I’m not going to deny that I spent much of the hour like that old dude on the porch in It’s A Wonderful Life shouting, “Just kiss her already!” But the fact that Freddie and Camille’s marriage ends offscreen—even when we can reliably discern what caused it to end—is another mark against what’s likely the season’s worst plotline, a transparent attempt to put an obstacle between Bel and Freddie’s inevitable pairing that didn’t even bother to rise to the level of making Camille feel like a real human being. The show might have been better off just sucking the two into the latest story, only to have Freddie admit somewhere along the way that, oh yeah, he’s still in love with her. It wouldn’t have had the melodrama of that great closing moment of the season premiére, but at least it wouldn’t have introduced a character only to immediately undercut her. But that’s all sour grapes, because the last half of the episode is the best this season has been so far. Pretty much everything from Freddie’s declaration of love on is tightly plotted, solidly considered, and smartly paced. The raid sequence itself features some of the best editing I’ve seen on TV this year, to the point where the cuts seem almost impressionistic, more than they do logical. They’re there to make us feel a certain way, not to move the story forward, and they succeed in making the audience feel as penned in and trapped as the people in the club. Cilente’s death threat against Freddie has some real teeth in it, and when he’s saved only at the last minute by Stern hauling the club owner off, it’s easy to believe Freddie could have disappeared in the middle of the melee. It’s Stern, though, who benefits the most from these closing passages. He’s been a bit of a cipher all season, with most of his character development occurring through things other people told us about him. But here, as he makes the tough choice to do the right thing, he takes on some real dramatic weight, as does the relationship between him and Kiki, which has similarly felt featherweight up until this point. When he bashes open the mirror and the flood of photos comes out, it feels like a just reward for a character who’s finally getting back on track, as well as a solid payoff to a relationship I previously couldn’t have cared less about. There’s still a little too much weirdness in this fifth episode for me to give it an unqualified rave, but when it’s good, it’s very, very good. Hector’s flirtation with ITV, which has taken all season, now reaches its uppermost point, as he’s decided to take the job, though Bel urges him to read the fine print. I can only assume said fine print will indicate that he’s going to be based in Baltimore from now on. I very much enjoy the way Oona Chaplin differentiates between “TV Marnie” and “real Marnie,” while making clear they’re two very different sides of the same person. The scene where she welcomes her husband into her TV home is great at doing this, as is the bit where she lets the façade drop while the two sit together on set. When Bel has something to tell Freddie, and then we just cut away, it’s almost as if the show is deliberately messing with all of us. 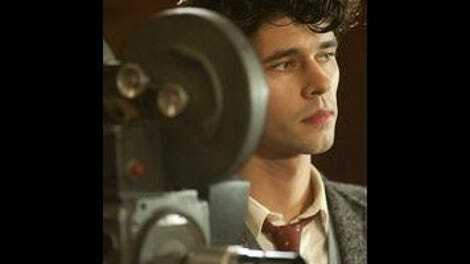 Happy Boxing Day, The Hour. Just kiss her already!